Pillows can help or hurt, depending on their firmness and your sleep position. You probably know someone who won't leave home without a special pillow, claiming that a particular bag of fluff or feathers is the key to a good night's sleep. And that person may be on to something. "Anything that will make you more comfortable will improve the likelihood of getting a good night's sleep," says Dr. Lawrence Epstein, a sleep expert at Harvard-affiliated Brigham and Women's Hospital. But the benefits of pillows don't go much further than comfort and positioning. Sometimes pillows even hurt your health. "If your neck is bent in any way for an extended period of time, you'll get uncomfortable," explains Matthew O'Rourke, a physical therapist at Spaulding Rehabilitation Hospital. He says a pillow that's too soft or too firm often leads to neck pain. For example, if you sleep on your side with a soft pillow that doesn't provide enough support under your neck, your head has to extend sideways to meet the pillow. If you sleep on your stomach—a position that hyperextends the neck backward—then using a firm pillow pushes the head back even farther. "If you're on your stomach with your head to the side, you're sleeping in a full rotation position, and that can become painful," O'Rourke says. Likewise, sleeping on your back with too much firm support pushes the neck too far forward. For people who have sleep apnea — a condition in which you stop breathing periodically during sleep — pillows can interfere with continuous positive airway pressure (CPAP) treatment. CPAP keeps your airway open by means of a bedside device that pushes air through a mask you wear while you sleep. "If you're a side sleeper, the pillow can knock the mask off," says Dr. Epstein. Losing sleep from being uncomfortable at night has consequences. Your body has less time for muscle growth, tissue repair, and other important functions that occur during sleep. Sleep deprivation can affect mood, thinking skills, and appetite. Chronic sleep deprivation increases your risk for falls, obesity, diabetes, high blood pressure, and heart disease. Special pillows can help stave off some problems, such as heartburn symptoms. "Among lifestyle changes, elevating the head to 30 degrees can be effective. I've had success with patients using a wedge pillow," says Dr. James Mojica, the sleep lab director at Harvard-affiliated Spaulding Rehabilitation Hospital. 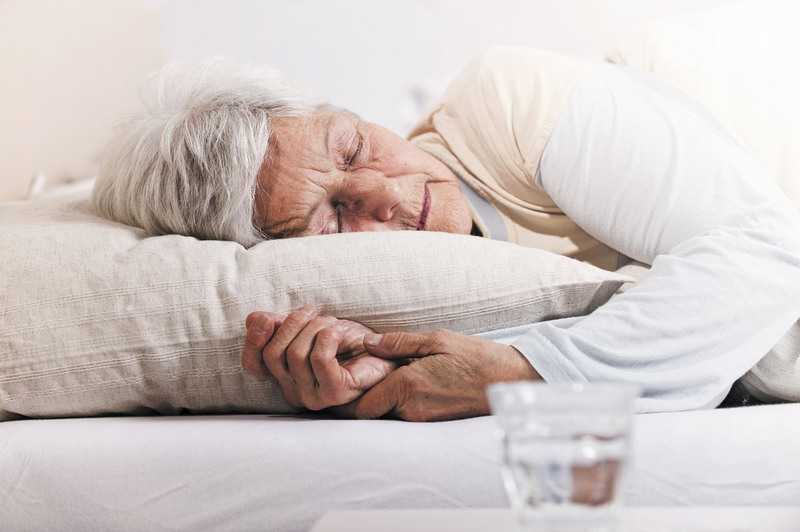 Sleeping with your upper body elevated at an angle can also reduce symptoms of sinus problems and may prevent relapses of benign paroxysmal positional vertigo — a condition in which tiny crystals in the inner ear become dislodged and cause extreme dizziness. Specially designed pillows can help people keep their CPAP masks on. "They have cutouts that the mask fits into so it won't get knocked off," Dr. Epstein explains. Finding the right pillow is a matter of personal preference. You have plenty of options in today's high-tech era: materials that conform to your shape (memory foam), keep you cool, wick away moisture, or repel mold and dust mites (which may help allergy sufferers). Some pillows even track your sleep habits and wake you with music (these can be pricey, in the hundreds of dollars). Traditional materials are also popular. Pillows made of down and feathers conform to your shape and repel dust mites, but they can be hot and expensive. Pillows made of cotton, wool, or synthetic cotton are less expensive, but they make a more attractive climate for dust mites. Keep firmness in mind. Side sleepers need a firm pillow for support. Rectangular pillows with panels on the side may help; they're taller than standard pillows. Back and stomach sleepers may want to use thinner, softer pillows. The goal is a comfortable position that will help you sleep. "Try to get the spine in a relatively straight position. But everyone's recipe will be a little different," says Matthew O'Rourke, a physical therapist at Spaulding Rehabilitation Hospital. While adjusting your sleep position can help stave off symptoms, it won't eliminate health problems such as restless legs syndrome or sleep apnea — even though some pillows are marketed as solutions to snoring and sleep disorders. The only way to address sleep disorders, say both doctors, is to talk to your physician and get a proper diagnosis and treatment.